Flower crown headpiece: Cinco de Mayo fiesta party costume ideas! 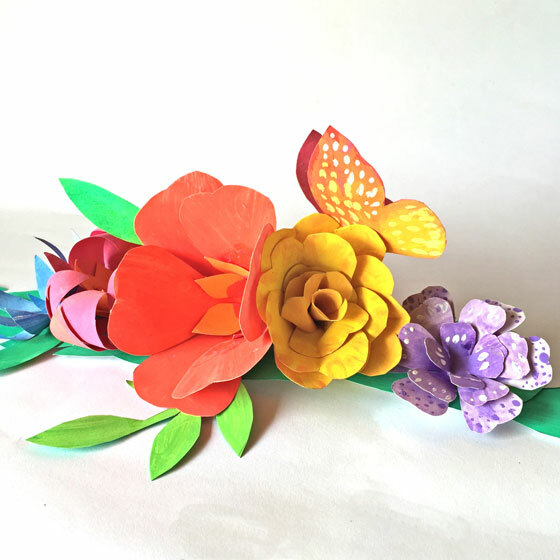 Cinco de Mayo paper flower blooms! 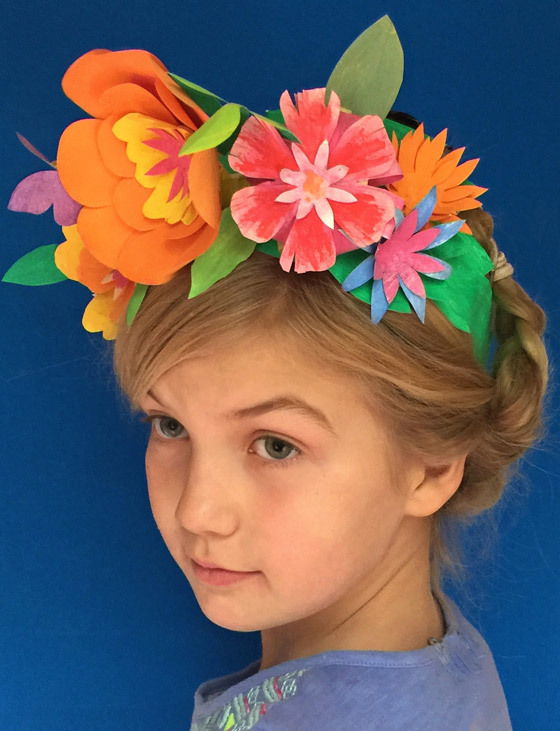 Make your own flower headpiece for your next Cinco de Mayo celebration or costume party! 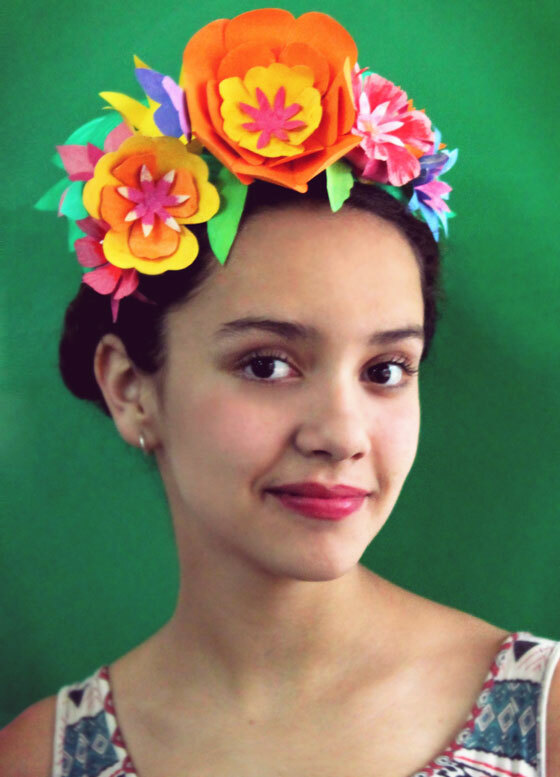 Make this fun Frida Kahlo inspired paper crown made of flowers for Cinco de Mayo! 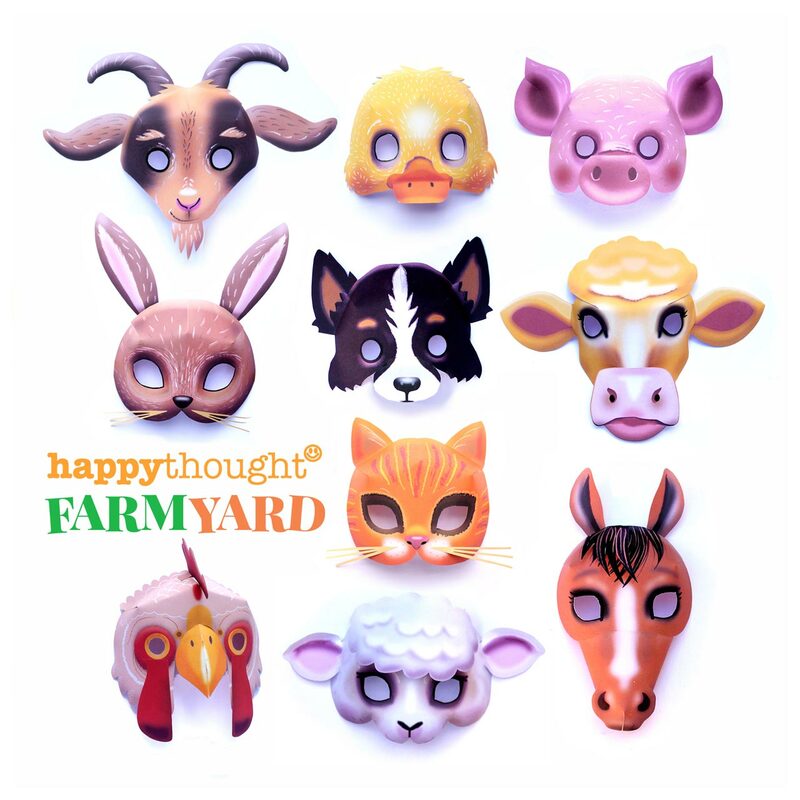 All you need is Happythought flower templates, paints, scissors, a glue stick and tape. Get creative and don’t be scared to use all your favorite colors and textures. Cinco de Mayo headpiece crown! Step 1 – Print out your flower templates on to approx. 120gsm card stock and paint them with bright colors. Do not worry about going over the lines! Step 2 – Don’t forget to paint on the reverse of the paper too. You can cover the whole page with paint. Try mixing colors and adding stripes or spots. Step 3 – Once your flowers are dry carefully cut them out. Trim slightly inside the black outline. 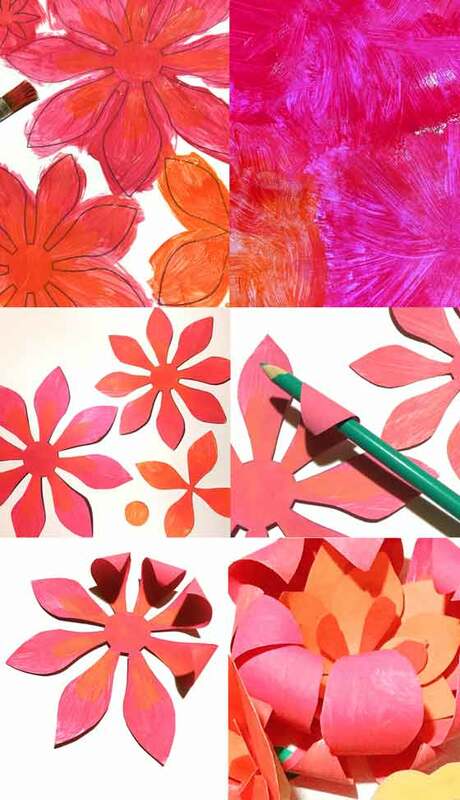 Step 4 – Curve the petals by wrapping them around a pencil or paintbrush. Step 5 – Combine different shaped flowers together to make beautiful blooms! 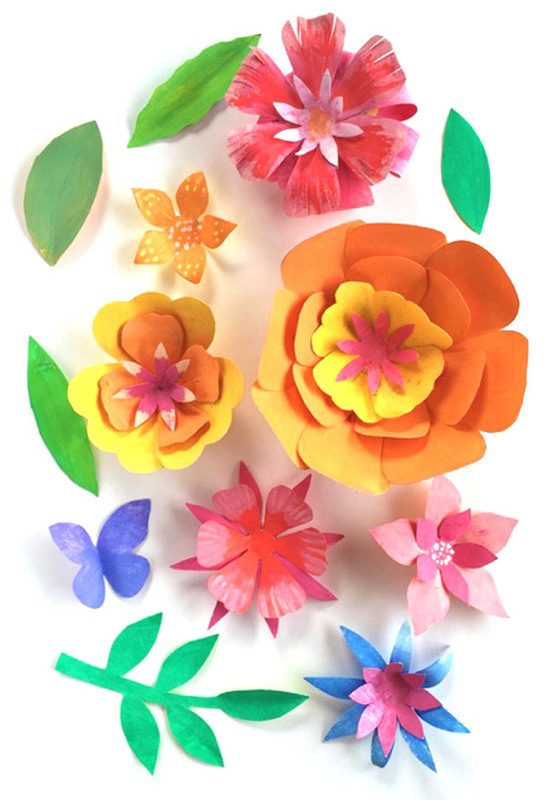 Paper flowers for Cinco de Mayo! 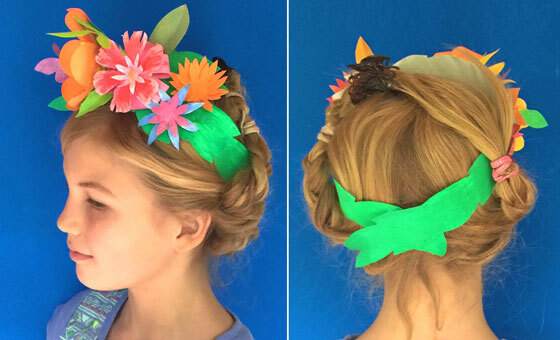 Step 1 – Print out and paint your flower crown headband. 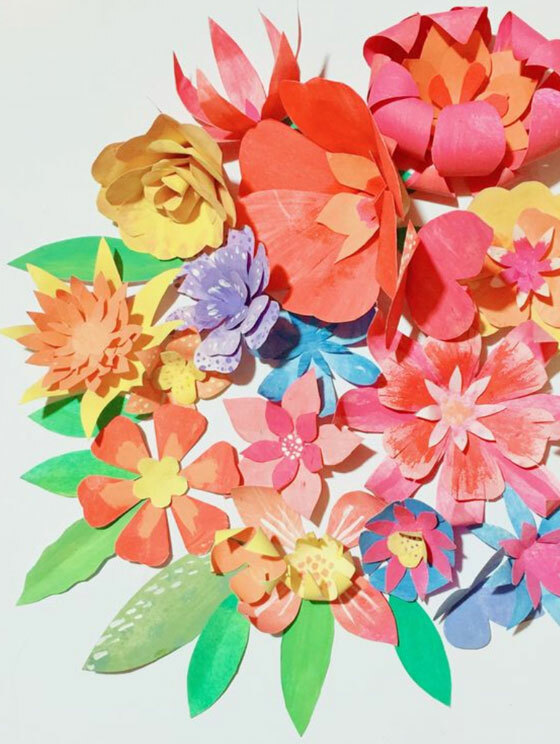 Step 2 – Gather up your paper flowers. Step 4 – Starting from the middle with your largest flower, attach your flowers to the headband using glue or tape. Step 5 – Don’t forget to add leaves and maybe a butterfly! Step 6 – Carefully un-stick the band. Your beautiful flower headpiece is ready to wear! Wear a paper flower headpiece at your next fiesta! Attaching flowers to the headband! We used a roll of masking tape on the back of each flower (see above). That way it is easy to reposition your flowers if you need to! Once you are happy you could add some glue to make them more secure. Front and back, paper crown flower headband for Cinco de Mayo! Once you are happy with the position the headpiece, wrap the paper leaf strips around your head and fasten at the back with glue or sticky tape as shown. You look amazing! Paper flower headpiece for a fiesta! 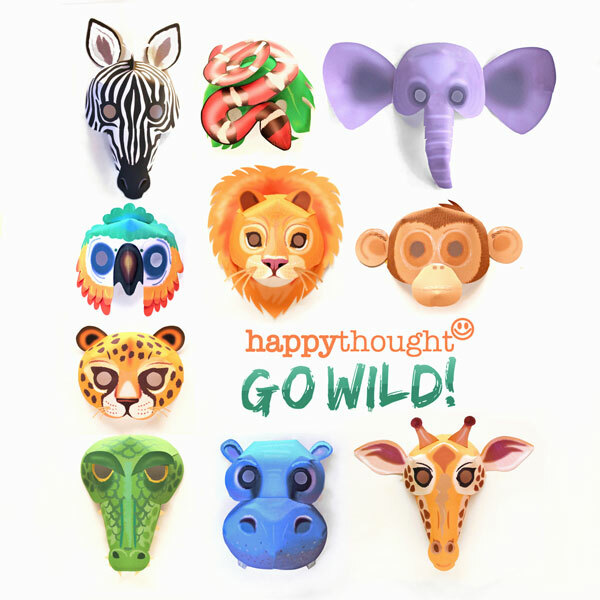 We love printable crafts of all sorts here at Happythought. These are just a few of our favourites – How to make a lucha libre mask, como hacer una mascara de lucha libre, facepaint a lucha libre mask and an adorable Mother’s day decoration. 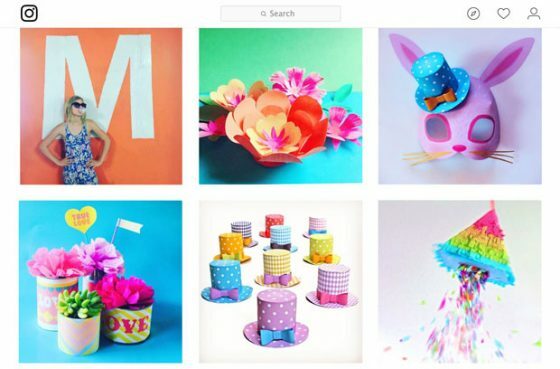 We hope you enjoyed our make a paper flower crown or headpiece tutorial! If so, please give us a little love; by liking us on facebook, pinning us on pinterest or following us on twitter. Thank you! Gorgeous, and a great part of an art lesson as well as a cultural one!